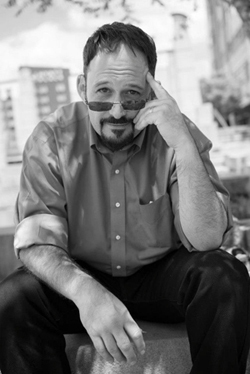 Michael Chemers, Professor of Theater Arts and Director of the Digital Arts and New Media Program at UC Santa Cruz. These mega questions are themes running through Birth of Stars, an original new play melding scientific data, digital projections, and a human story to explore the parallel between the lives of stars and the people who gaze up at them. It runs November 7-16 at the Experimental Theater on campus in the Theater Arts Center. A co-production of the Theater Arts Department and the Digital Arts and New Media Program (DANM) at UC Santa Cruz, the event was created by a research team of scholars, students, and artists--led by Michael Chemers, professor of theater arts and director of DANM, Mark Krumholz, professor of astronomy and astrophysics, and Jim Bierman, professor of theater arts. Birth of Stars is the story of Sofia, a 14-year-old girl growing up in a rural mountain community in California. 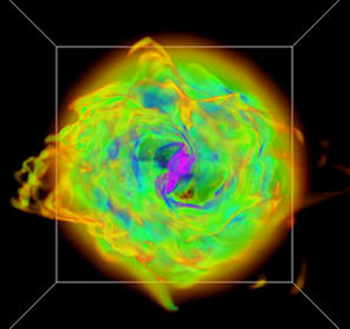 Sofia has exceptional gifts-- including an extraordinary facility with science and an obsession with the life cycles of stars. These gifts, however, come at a terrible price. The play combines live action with digital effects, including projections of simulations of stars forming in space. There is also a an interactive online component where the audience can learn about the science behind the play, plus get a rare behind-the-scenes look at the artistic process of creating. Although the interests of students in the cast and crew ranged from theater arts to astrophysics, Chemers noted that the team had no problems interacting and working together. Krumholz noted that he especially enjoyed the process of building analogies between natural and human phenomena, and blending them together to make a compelling story true to both. “I helped the playwrights understand the science of these processes, and helped them weave those scientific phenomena into a human story,” he added. 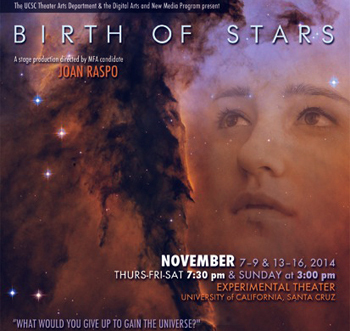 Birth of Stars will take place Friday, November 7 through Sunday, November 16 at the Experimental Theater, located in the Theater Arts Center on the UC Santa Cruz campus. Tickets are available at santacruztickets.com. This event is made possible by the support of the Arts Dean’s Fund for Excellence, the Porter College Mini-Grant Program, the UCSC Institute of the Arts and Sciences, Mr. Ren Klyce, and MAXON4D. For more information, call (831) 459-4731.